Seaborn is a data visualization library in Python based on matplotlib. The seaborn website has some very helpful documentation, including a tutorial. And like the rest of your programming questions, anything you can’t find on that website can generally be found on the Stack Overflow page that is your first google result. To get started with seaborn, you’re going to need to install it in the terminal with either pip install seaborn or conda install seaborn. Then simply include import seaborn as sns at the top of your python file. That’s right: you can run the exact same code you’ve already written and get prettier plots, no extra code or new syntax required. Recently I was horrified when a more senior data scientist, and much better Python programmer, presented with default matplotlib aesthetics. When I asked him why he didn’t use seaborn, he said “It’s on my list of things to learn, I just haven’t gotten around to it.” But this isn’t a valid excuse! All you need to do to start benefitting from seaborn is import it. Seaborn has much more to it besides these default aesthetics, but this feature already offers an exponential improvement. If you want to change either the background or the colors of all your graphs, you can do so easily with two commands: sns.set_style and sns.set_palette. sns.set_style takes one of five arguments: white, dark, whitegrid, darkgrid, and ticks. These are the five options for the background of your plot; the default one is darkgrid. Play around and see what you like best! Qualitative color palettes, where you want to distinguish between distinct data that doesn’t have an ordering. These color palettes are just a variety of different colors. Sequential color palettes, where your data range goes from relatively uninteresting or low values to relatively interesting or high values. These color palettes go from light to dark or dark to light in one color or similar colors. Diverging color palettes, where the interesting points are on either end and you want to under-emphasize the middle points. These color palettes are dark at the end and light in the middle, with a different color for each side. 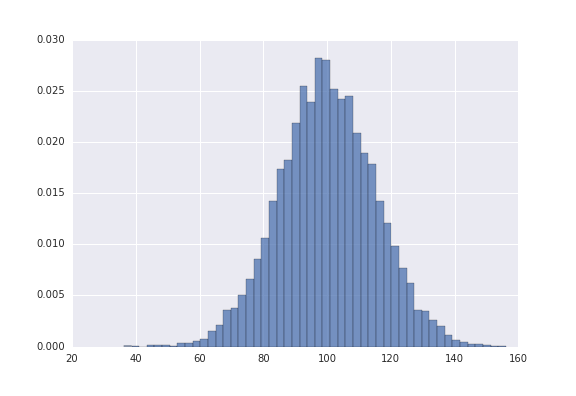 The other big advantage of seaborn is that seaborn has some built-in plots that matplotlib does not. Most of these can eventually be replicated by hacking away at matplotlib, but they’re not built in and require much more code. Facet plots and regression plots are just two examples of those that take much longer to create with matplotlib; the regression plot does a regression line, confidence interval, and a scatter plot, all with one short function: sns.regplot(x="total_bill", y="tip", data=tips)! This is far from an unusual case. While seaborn certainly does not have its own plots for everything, it has a lot of the ones you’d typically use for exploratory purposes. I come from a family tradition of caring too much about plotting frameworks. 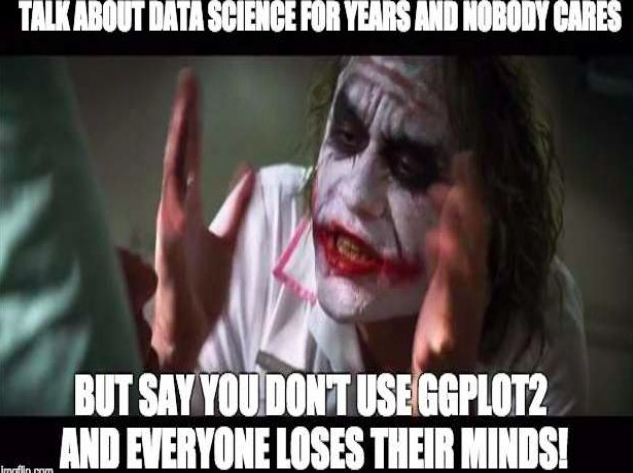 Earlier this year, my brother David Robinson, a data scientist at Stack Overflow, became part of a flare-up in a long-running debate on ggplot2 versus base R graphics. I bring this up not only to illustrate some family resemblance, but also to set up a contrast to the seaborn/matplotlib decision. While Base R graphics and ggplot2 require completely different syntax, seaborn is based on matplotlib, and so starting to use seaborn is as easy as importing it. 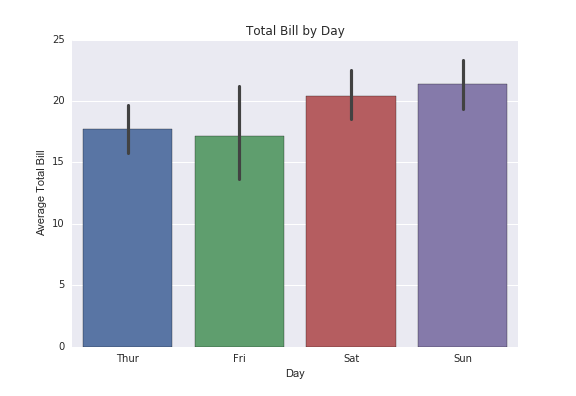 I think every python programmer can benefit from using seaborn for visualizations. 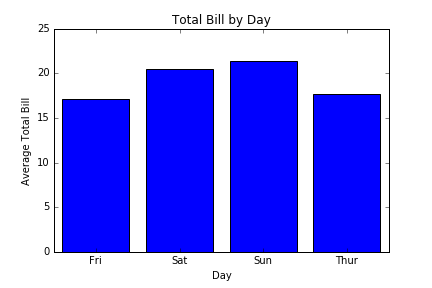 The advantage of matplotlib is that you can do essentially anything you want with it by building a plot piece-by-piece. 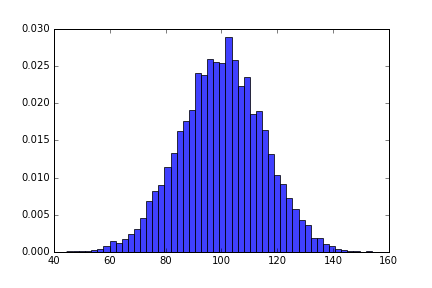 You certainly can make beautiful, professional plots in matplotlib. Seaborn doesn’t take away any of that, but rather adds some nice default aesthetics and built-in plots that complement and sometimes replace the complicated matplotlib code you may already be writing. As someone who started off using seaborn right away and has been using it for less than two months, I’m far from an expert on seaborn or matplotlib. But I hoped this post would be helpful for new Python users or reluctant seaborn adapters for the great advantages I see in Seaborn.